Peel back husks, leaving them attached at the base of the ear. Remove and discard silk; pull husks back over corn. Place ears in a large bowl or pot; cover with cold water. Let soak 10 minutes. Preheat grill to high; lightly oil grates. Drain corn. Arrange ears on grill. Cover and cook, turning occasionally, using tongs, until husks are slightly charred and corn is tender, 15 to 20 minutes. Remove ears from grill. Holding bottom of hot ears with a towel, peel back husks and, with a knife, coat kernels with butter. 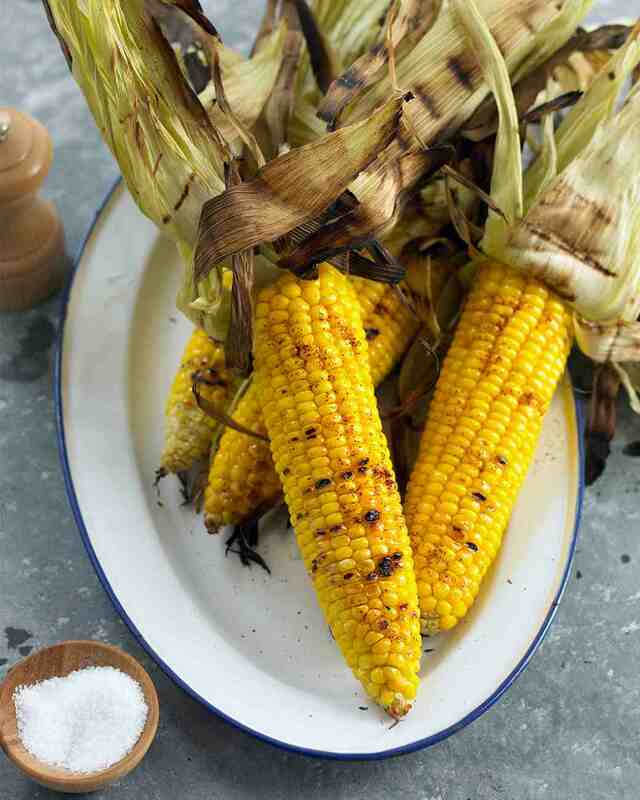 Season corn with salt, pepper, and chili powder or paprika. Serve.